Manufacturer of a wide range of products which include graphite cups. We are one of the leading manufacturer and exporter of Graphite Cups. These can withstand the high temperature, and has good resistance to chemical erosion and thermal shock. 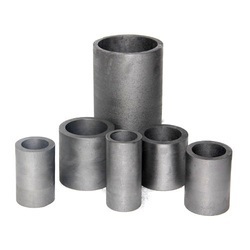 Especially graphite crucible is ideal for the melting of aluminum, copper and other metals like gold and silver. Looking for Graphite Cups ?